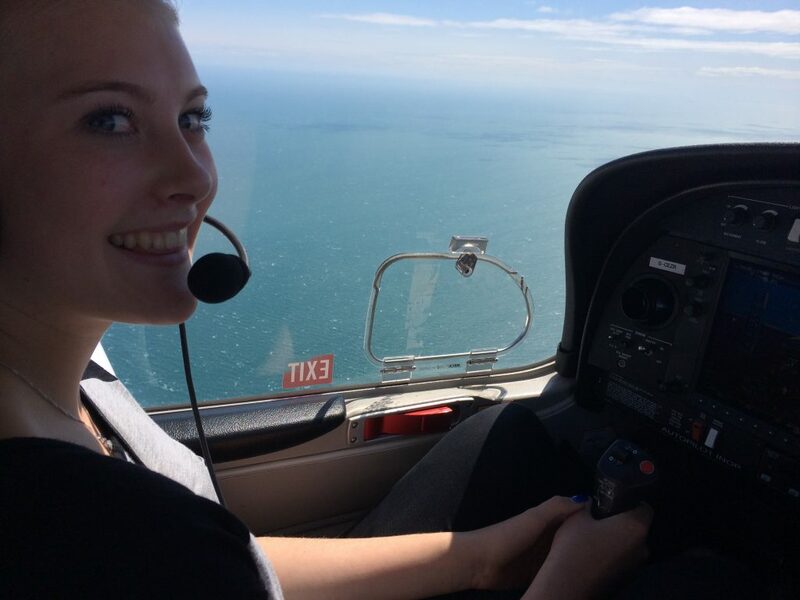 Molly Sanderson won a free flying lesson with FTA Global at a recent event; FTA found out more about her ambitions and how she views the challenges ahead as she reaches for the sky. I’ve always loved flying and so I joined the Air Cadets. Whilst I was with them, I had several flying experiences and I’ve always thought it’d be an exciting career. Did you receive info or careers advice at school about aviation or becoming a pilot? I did receive a little bit but I followed it up after I’d seen a poster about flying around school. Was there a role model or particular event that sparked your interest in aviation? When I was 7, my family and I were the first on the plane during a flight; the pilot invited us to go and look at the cockpit and since then I have always taken an interest in aviation. Is anyone in your family in aviation and are they male or female and what role do they have? My great uncle is the only person in the family who was in aviation. He was a pilot in the navy and then worked for Delta Airlines for more than 30 years. How did you feel when you found out you had won the trial flight lesson competition with FTA? I was quite surprised and extremely excited when I found out. Would you like to pursue a career in aviation or become a pilot and what sort of flying do you want to do? I would love to pursue a career in aviation as a commercial pilot one day. What did you think of FTA’s facilities, your instructor and the training aircraft that you flew in? FTA’s facilities were very modern and accessible; all the staff I met were friendly and efficient. My instructor, Alex, was extremely helpful and easy-going, so it made me feel relaxed. Alex explained things carefully and clearly, so I knew exactly what I was doing. He also gave me lots of information to help me in the future. I found the controls of the Diamond training aircraft quite sensitive at first but I got used to them after a while; although it was still weird flying for the first time. What did you think of your experience/flight? At the beginning I was relatively nervous but during the flight I became more comfortable and really enjoyed it! It was such a great thing to do and really made me realise that I definitely want to fly. How has this trial flight at FTA inspired you? It’s inspired me to pursue my desire to have a career in aviation and work out ways to enable me to do this. What would you say to other women, considering a career in aviation? To give it a go and try it out, don’t just discount it because you’re a woman. Do you think there are any barriers that stop women pursuing a career in aviation? I do yes, it’s perceived as a male dominated career and that can perhaps put woman off the idea. I feel women are not really encouraged to go into this sort of aviation profession. It’s also not seen as a very family friendly career for women, which could also deter women. When did you first see or fly with a female pilot on a commercial airline? I have flown with female pilots before but my most recent experience was in February this year, when we flew with BA.